The Minister of State for Culture (Independent Charge), Tourism (Independent Charge) and Civil Aviation, Dr. Mahesh Sharma meeting the King Maswati III of Swaziland, at Mbabane, Swaziland on July 14, 2015. The Minister of State for Culture (Independent Charge), Tourism (Independent Charge) and Civil Aviation, Dr. Mahesh Sharma meeting the Foreign Minister of Swaziland, Ms. Mgwagwa Gamedze, at Mbabane, Swaziland on July 14, 2015. 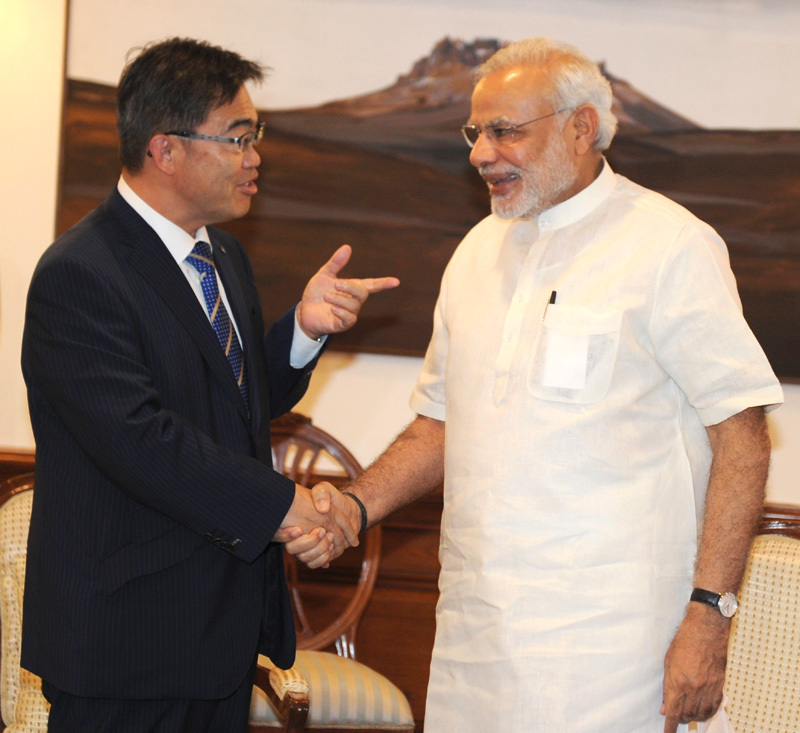 The Governor, Aichi, Japan, Mr. Hideaki Ohmura calling on the Prime Minister, Shri Narendra Modi, in New Delhi on July 14, 2015. The Union Minister for Railways, Shri Suresh Prabhakar Prabhu addressing at the signing ceremony of an MoU between the Ministry of Railways and Ministry of Skill Development and Entrepreneurship, on mutual cooperation on Skill Development as part of the National Skill Development Mission, in New Delhi on July 14, 2015. 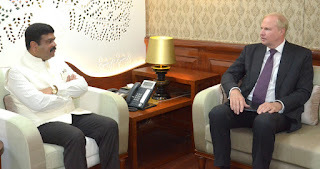 The Minister of State for Skill Development & Entrepreneurship (Independent Charge) and Parliamentary Affairs, Shri Rajiv Pratap Rudy, the Secretary, Ministry of Skill Development and Entrepreneurship, Shri Sunil Arora, the Chairman, Railway Board, Shri A.K. Mital and the Member Staff, Railway Board, Shri Pradeep Kumar are also seen. 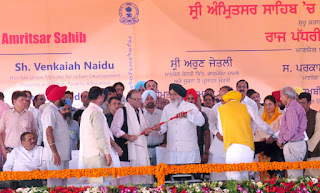 The Union Minister for Finance, Corporate Affairs and Information & Broadcasting, Shri Arun Jaitley being presented the sword by the Chief Minister of Punjab, Shri Prakash Singh Badal, at a function, in Amritsar, Punjab on July 14, 2015. The Union Minister for Urban Development, Housing and Urban Poverty Alleviation and Parliamentary Affairs, Shri M. Venkaiah Naidu, the Union Minister for Food Processing Industries, Smt. 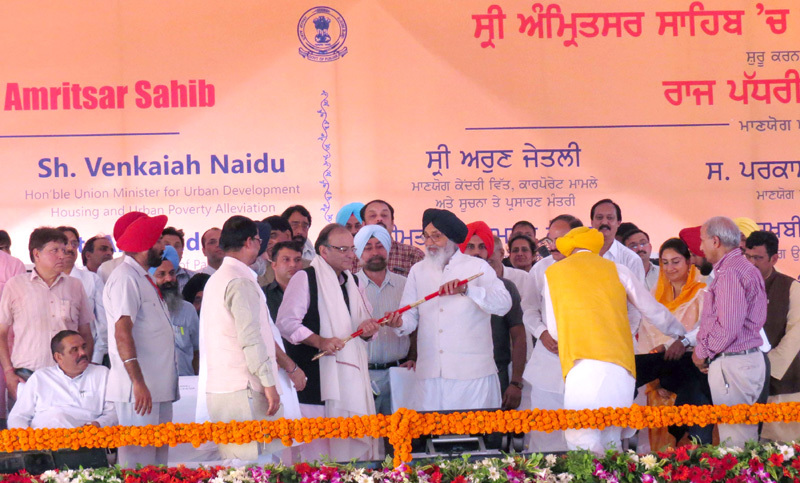 Harsimrat Kaur Badal, the Minister of State for Social Justice & Empowerment, Shri Vijay Sampla and other dignitaries are also seen. 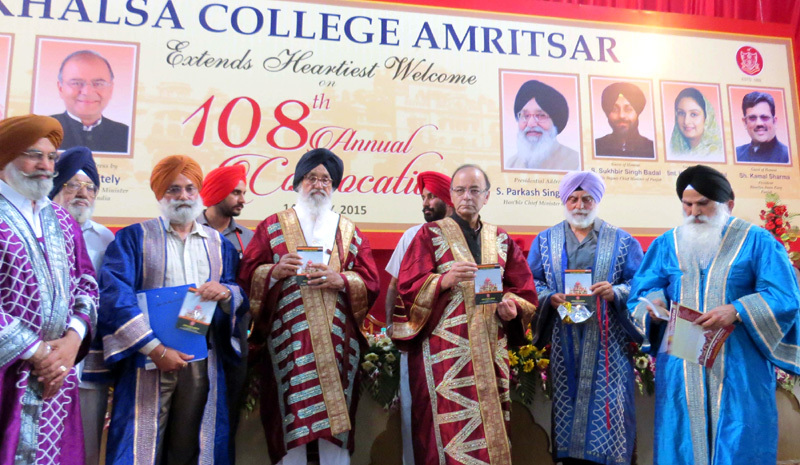 The Union Minister for Finance, Corporate Affairs and Information & Broadcasting, Shri Arun Jaitley releasing a publication, at the 108th Annual Convocation of Khalsa College, in Amritsar, Punjab on July 14, 2015. 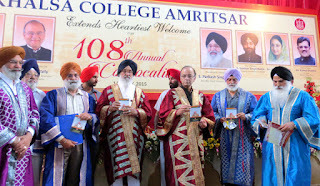 The Chief Minister of Punjab, Shri Prakash Singh Badal and other dignitaries are also seen. The Union Minister for Road Transport & Highways and Shipping, Shri Nitin Gadkari attends the breakthrough ceremony of India's longest road tunnel: Chenani - Nashri on Jammu-Srinagar National Highway on July 13, 2015. The Minister of Foreign Affairs of Myanmar, Mr. U Wunna Maung Lwin calls on the Prime Minister, Shri Narendra Modi, in New Delhi on July 15, 2015. The Prime Minister, Shri Narendra Modi chairing the 2nd meeting of the Governing Council of NITI Aayog, in New Delhi on July 15, 2015. The Minister of State for Skill Development & Entrepreneurship (Independent Charge) and Parliamentary Affairs, Shri Rajiv Pratap Rudy flagging off the ‘Skill Vans’, on the occasion of launch of Skill India Campaign, in New Delhi on July 15, 2015. 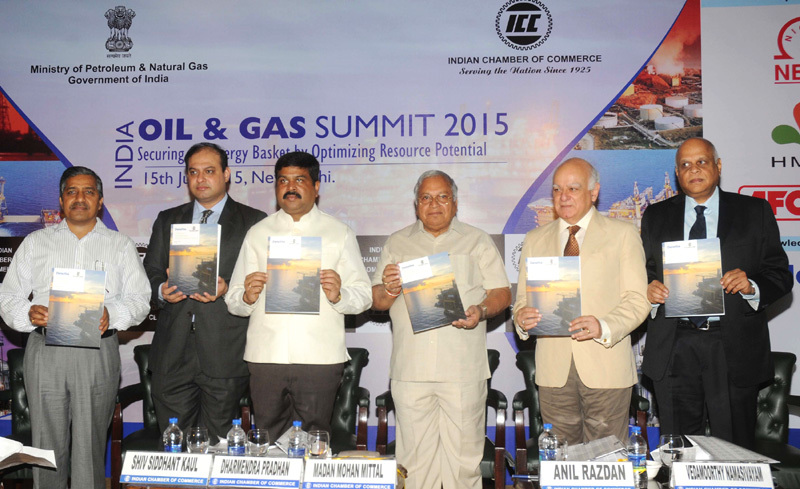 The Minister of State for Petroleum and Natural Gas (Independent Charge), Shri Dharmendra Pradhan releasing a publication, at the inauguration of the India Oil and Gas Summit 2015, organised by the Indian Chamber of Commerce, in New Delhi on July 15, 2015. 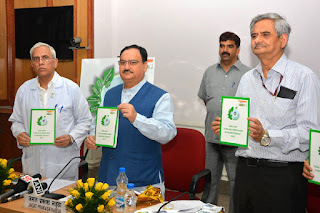 The Union Minister for Health & Family Welfare, Shri J.P. Nadda launching the “Clean and Green AIIMS campaign”, under the award scheme of Kayakalp, at AIIMS, in New Delhi on July 15, 2015. 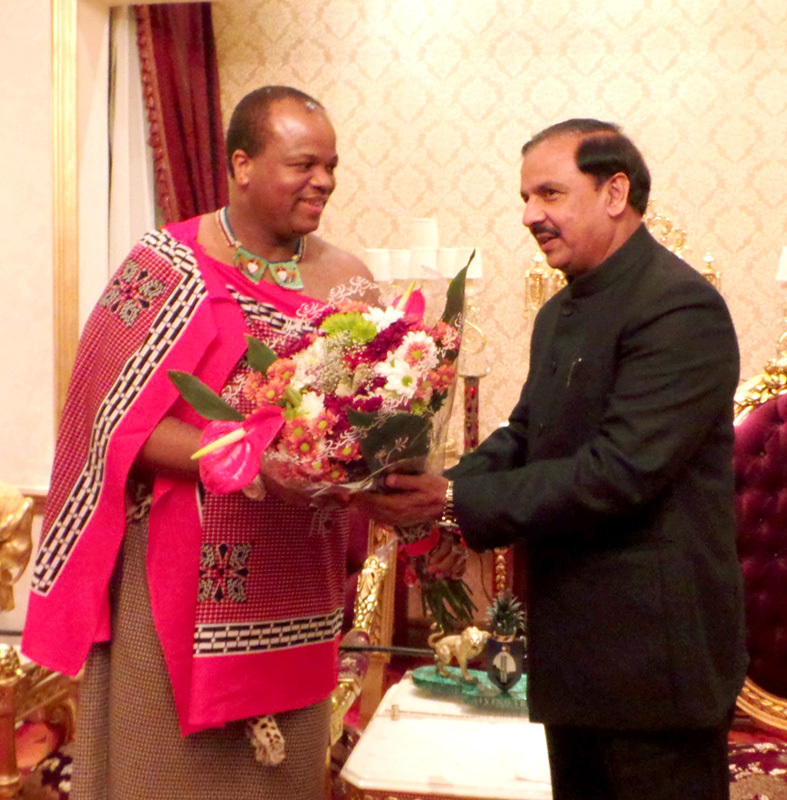 The Secretary (Health and Family Welfare), Shri B.P. 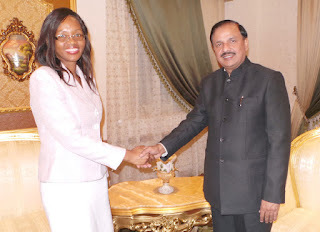 Sharma and the Director, AIIMS, New Delhi, Prof. M.C. 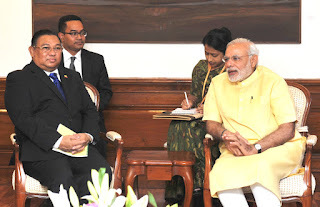 Mishra are also seen.